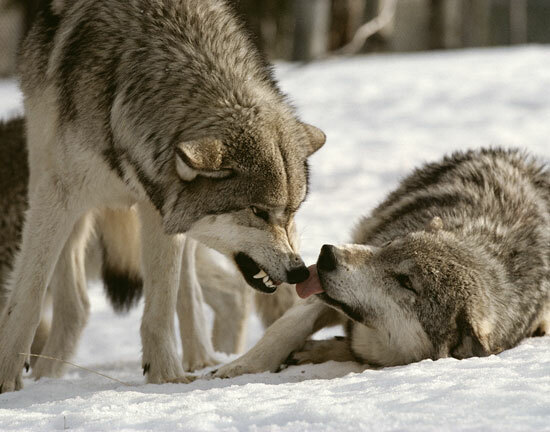 I take as my divination today an odd dream early this morning: I’m a member of a wolf pack, and my fellows have drawn me aside, possibly to be disciplined, after I am tested for truth-telling. The issue at stake, apart from truth, I don’t know. (There isn’t one?) But I feel the just authority and deserved power of my pack leader, I readily make my submission, lying flat on the ground, waiting patiently as I can, licking my chops, panting a little. At length I’m freed, though I lose the final threads of the dream and the actual issue in contention as I wake. Who determines truth? Is it our pack? Often among social animals it’s indeed the group, for better and worse, like the words of the marriage vow, recognizing a truth about life. For submitting to a consensus is a form of contract. But such a formulation of truth results not just from others’ perceptions — a consensus averages them, bundles them together to even out the extremes, and not only may be no more accurate than my perception or yours, but may well be less. Mere majority is no guarantor of value. “We all say so,” exclaim the Monkey People in Kipling’s Jungle Book, “and so it must be true.” Democracy, indeed, is the worst form of government — except for all the others. It’s a first approximation to that inner wisdom. Mix in other adulterating motives like the obscuring force of anger, envy, fear and so on, and the spinning moral compass still comes to rest to show that no group deserves more authority than the individual. A group may indeed have usurped such authority, snapped it up if we have ceded it, or claimed it in the absence of the rightful possessor, but that’s a different matter. The point persists behind Iolo Morgannwg’s Welsh aphorism Y gwir yn erbyn y byd — “the truth against the world” — regardless of whether we claim that inner sovereignty as our birthright, or heedlessly opt to forfeit it to whoever is the latest big noise to arrive on the scene. A part of that sovereignty, true, urges us to seek wise counsel when our own vision falters (as it will from time to time), or does not offer sufficient guidance. But the choice to seek, follow, modify or ignore that counsel remains ours alone. It seems nowadays we’ve only a loose grip at best on the good meaning of discrimination: the ability to make vital distinctions that matter. For the opposite of discrimination is not indiscriminate approval or contempt. Rather it’s an abdication. Someone else, take up my crown and sceptre! It’s too hard! But as we come to know at cost, the only thing more difficult than struggling to uphold our sovereignty is the obscene suffering and atrocious despair we face when we let it slip through our fingers. Holocaust survivor and philosopher Elie Wiesel has said it well (adjust the pronouns to fit): “It is by his freedom that a man knows himself, by his sovereignty over his own life that he measures himself.” Without sovereignty, then, how can we know or measure accurately? I offer as exhibits 1 and 2 most major headlines today and the lived experience of anyone over 10 years old. Among other wisdom paths, Druidry rightly asserts that it’s our inner sovereignty that comes first. All else follows from the state of our inner kingdom. It’s long work, this upholding of our sovereignty. And if like me you feel the evidence points towards reincarnation, well, we keep coming back till we get it right.Some things we know are true, against whatever the world throws down to snuff it out. Otherwise, what’s the cosmos doing, if not manifesting gloriously, excessively, magnificently, every single possibility along with a consciousness, feathered, finned, furred, to engage it, turn it back onto itself, plumb its depths, endlessly forming and re-forming. 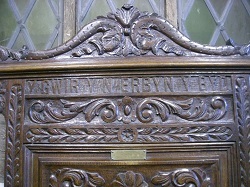 There’s a wooden chair in the Parliament House in Machynlleth, Wales, that bears those challenging words across the headpiece. For it too is a Siege Perilous, like that “perilous chair” at Arthur’s Round Table, that stands empty awaiting the one who wins through to the Grail, the seat that proves fatal, mortal, to the mortal who sits down unworthy. This life is perilous indeed — mortal — the Ancestors weren’t wrong about that in all their stories. We’re winning through, though by all appearances none of us have quite yet “won.” But we’ve come far enough, through both hardship and joy, to recognize the seat for what it is, to puzzle out the significance of the inscription there, to feel it in our bones. We’ve caught more than one glimpse of Grail in a human face, a landscape, plumbed it in the heart’s cry, caught echoes of the Grail Song, every one of us, against all the odds the world sets for us. We can even imagine sitting down eventually. I suspect, too, that any endpoint is part of the model and not the reality it attempts to represent. It’s an asymptote, to get mathematical for a moment, if you recall that intriguing figure from school: undrawable, really — endlessly closing in on but never reaching a final point, a terminus, some ultimate destination. It’s the horizon infinitely receding. It’s the Mystery that lies behind and inside everything, the charge that impels all things. Taoists say it’s “like a well: used but never used up. It is like the eternal void: filled with infinite possibilities. It is hidden but always present. I don’t know who gave birth to it. It is older than God” (chapter 4). Images: wolves; chair in Parliament House, Machynlleth, Wales.